Dr. Julia Kinder has been a practicing physician and successful business woman for over 15 years. In 2011 Dr. Kinder announced the launch of a new service she would provide for physicians who are unhappy in practice and ready to discover other career options. Dr. Kinder now offers her wealth of knowledge and expertise in making the transition from full-time medical practice to starting and thriving in a new non-clinical career, or for modifying a current clinical career to be more rewarding. As early as residency, Dr. Kinder sensed she was not completely happy in her career choice as a physician. Concerned about the time and money already invested in her career, she continued forward to receive her board certification and start a private practice. Long hours, the enormous responsibility of trying to care for patients who did not care for themselves, endless administrative tasks, and lack of time to devote to her own interests and family reinforced her dissatisfaction in practice. When her first child was born with Down syndrome, Dr. Kinder struggled to find time to devote to Ella’s care. Being a full-time working parent wasn’t the problem; the issue was that an unrewarding and stressful career is mentally and physically draining and it negatively impacted the time Dr. Kinder did have at home with her daughter. Dr. Kinder vowed to find a career that provided financial security, while bringing happiness and time for family and hobbies. Dr. Kinder created that dream career. She is now a Best-Selling Author, National Speaker, and Consultant in 3 areas that she is passionate about: Career Change for Physicians, Down Syndrome, and Fitness and Exercise. She also maintains a part time private practice. She discovered there are endless opportunities for doctors outside of clinical practice, and is eager to show fellow physicians that they do have the time and talents to start a new career. Her consulting and coaching services make the transition easy while saving doctors time; she guides them through each step towards their new life. Don’t waste another day unhappy in practice; contact Dr. Kinder Right Now! To hear what other Physicians, who desire to leave medical practice for a non-clinical career, have said about Dr. Julia Kinder, please make sure to visit the Testimonial and Endorsement page. If you are a physician who is unhappy in clinic, struggling to find balance between your demanding and stressful career and your personal life, I can help. For years, I dreaded going to work. I wanted out, but had no idea what options existed or the time to find them. Honestly, I worried about the time and money already invested in my career. But more precious were the years wasted being miserable, which affected all areas of my life. We get one chance at this life; are you Living the Life You Want, Right Now? Julia Kinder, DO, is a practicing Physician and a Small Business Consultant. She provides one-on-one Career Consulting for doctors seeking a non-clinical career, or physicians seeking to modify their current clinical career. 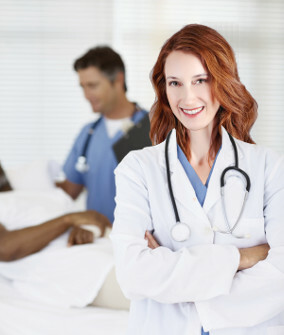 Dr. Kinder also provides Small Business Start-up Counseling for Physicians seeking a non-clinical career, or doctors who simply desire to supplement their professional income with a business venture. Get started today, and Contact Dr. Julia Kinder regarding Physician Career Coaching & Consulting. Inquire for free, you are under no obligation. Don’t spend another day miserable, tired, and worn out in clinical practice. Discover what opportunities await you and start Living the Life You Want, Right Now!